Laws set up to protect Texans who get hurt on the job are supposed to ensure they get lifetime medical care for their injuries. But critics of the system say sometimes that promise gets cut short. 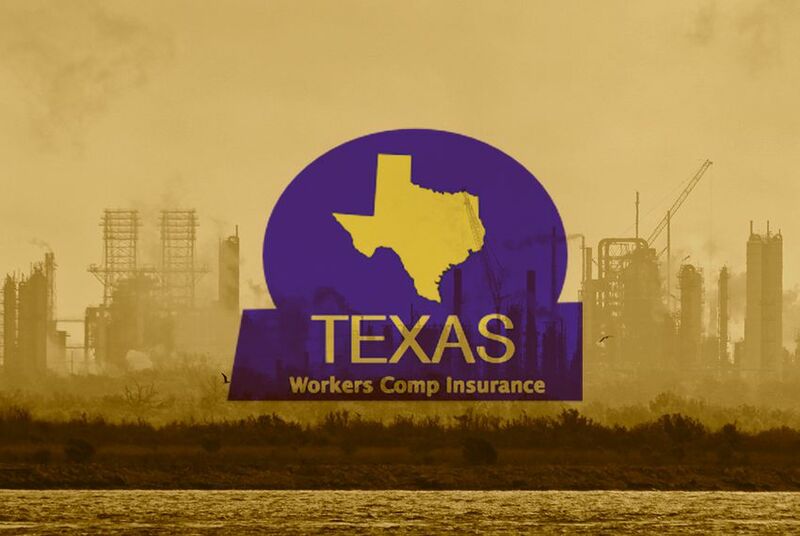 For more than two decades since sustaining a serious workplace injury, former refinery worker Mark Umphrey of Nederland has relied on the Texas Workers' Compensation system to deliver and pay for his medical care. Then, suddenly his insurance carrier cut off the benefits. Now, after inquiries from The Texas Tribune, the state's Division of Workers' Compensation, which falls under the Texas Department of Insurance, said it is investigating a complaint filed by Umphrey’s lawyer. A few weeks ago, Umphrey's doctor told him his Pennsylvania-based insurance carrier had quit paying for his medical care. The Insurance Company of North America previously acknowledged Umphrey had sustained a valid work-related injury, and over the years the carrier had paid for two surgeries to repair his back, plus follow-ups and medication for his chronic pain, records and interviews with Umphrey indicate. But in a Feb. 1 letter, an insurance adjuster told Umphrey that a new doctor had determined his injury wasn’t that serious after all. Instead of a serious condition requiring surgery, he actually sustained a nasty back sprain all those years ago, the insurer determined. The insurance company did not respond to a call and a fax from the Tribune requesting comment. For now, Umphrey — who has been deemed medically retired by the refinery and permanently disabled by the Social Security Administration — is cured from his work-related injury as far as the workers' insurance company is concerned, and the burden of proof falls on him to prove his case all over again. “It’s not fair to somebody, you know, you’ve got lifetime medical and all of a sudden they’re going to come up and say you’re denied for something they’ve paid for all along,” Umphrey said. Critics of the Texas Workers’ Compensation system say Umphrey is not alone. Even though the law is supposed to guarantee lifetime medical benefits, sometimes injured workers find that promise rings hollow after the bills start piling up, lawyers who represent them say. Ultimately, taxpayers end up assuming much of the health costs that are shifted to federal entitlement programs, or the private insurance market absorbs it by charging higher premiums to everyone else, they say. Brad McClellan, a workers’ compensation appellate lawyer and former chief of the workers' compensation section of the attorney general’s office, said insurance carriers are increasingly finding they can reduce their exposure by downgrading serious injuries years after they occur, even though they had earlier accepted responsibility and often paid for expensive treatments. “It’s happening all over the state,” McClellan said. Insurers feel increasingly emboldened to act unilaterally, McClellan said, because they keep winning both at the state agency that oversees administrative disputes and in a court system that tends to rule in their favor once the legal brawling starts. In Umphrey's case, the Insurance Company of North America said it believes he sprained his back and the company no longer has liability for the injury. “Based on newly obtained medical evidence, carrier accepts a lumbrosacral strain only,” the Feb. 1 letter said. Mary Nichols, a lawyer who works for the state's largest provider of workers’ compensation insurance, Texas Mutual, said new denials involving claims for which a carrier previously reimbursed should be put in the context of state regulations related to so-called “extent of injury” disputes. She said that she could not talk about any individual case and was speaking broadly about the laws and regulations. She pointed to state administrative rules that require an insurer to pay for surgery that is deemed medically necessary at the time, regardless of “unresolved issues of compensability, extent of or relatedness” to the covered injury. “It’s conceivable to me, I guess, that a person would, over time, develop degenerative conditions that weren’t caused by the work conditions but might be in the same body area,” she said. Umphrey, who is first cousins with Democratic mega-donor and trial lawyer Walter Umphrey, worked as a mechanic at American Petrofina in Port Arthur. In January of 1991, he slipped on a mix of oil and water on the plant floor and his back was seriously injured. He was treated with medication at first but eventually needed two surgeries to repair the damage to his spine, records show. The second surgery, in 2000, was a complicated “three-level fusion” that is used for patients with severe or debilitating pain. Over the years, doctors recommended surgery and then wrote in his medical records that he needed continued medication to deal with his chronic pain. In 2003, Dr. Robert Whitsell said Umphrey would “likely need to be maintained indefinitely with periodic follow up and use of medications.” He made similar diagnoses in 2005, 2007 and 2009. But a new doctor compiled a “peer review” report requested by the insurance company — sort of a belated second opinion — in late 2012, records show. The doctor, orthopedic surgeon Jon Thompson of McKinney, questioned the original diagnosis used to justify the previous claims. Essentially overturning years of medical consensus, he wrote that Umphrey’s original injury did not cause the type of “pathology” that would require fusion surgery. “The claimant would not require lifetime treatment for the injury in question,” Thompson wrote. He said Umphrey should be able to wean himself off the pain medication in about two months. Armed with his report, the insurance company cut off Humphrey’s benefits, records show. A message left for Thompson at his McKinney office was not returned. Umphrey said he tried to quit taking medication but couldn't bear the pain. He has now hired a lawyer, Larry Trimble of Houston, to fight the insurance company’s decision. Trimble filed a complaint with the Division of Workers’ Compensation, which oversees disputes betweens insurance carriers and injured workers covered by those policies. The department wrote back that he basically had to start over from scratch to prove Umphrey is entitled to ongoing medical care. Though the division had closed the complaint, spokesman Jerry Hagins said Friday, after inquiries from the Tribune, that was no longer the case. "We are reopening that complaint," Hagins said. "The Division of Workers' Compensation promotes the fair treatment of system participants and the prompt delivery of benefit payments through complaint resolution, compliance audits, and performance-based monitoring of both health care providers and insurance carriers," Hagins said. The division also fines insurers who violate regulations. Hagins noted that the division could not discuss an individual's worker's case file but said authorities this year were auditing "insurance carriers' use of peer review reports," which is the process Humphrey's insurer used to deny his benefits.